Videos are all the rage. This site has hours and hours of them on the Civil 3D Video recordings page. I do post a few to YouTube now and then. Truthfully, you’re better off coming here where you can both the eye candy and the beef about AutoCAD Civil 3D. They tell me that I should probably post more on YouTube to increase my social footprint and SEO. They tell me that I should reduce the length of all videos to 10 minutes max - Better yet reduce them to the long commercial format of 2 minutes. They say this is a human attention span issue. I contend this reductionist educational approach is like thinking you can understand history, mathematics, or science and engineering by reading a textbook. I’ll admit that years ago it was a little weird to talk at the computer screen. It was weird to play in recording studio back in the day. I’m older than that now. In between I managed to build a strange mansion for a truly tragic Record Plant owner. I bring this up because the Record Plant in Sausalito, CA was right across the street from the US Army Corps of Engineers’ San Francisco Bay Model. That wasn’t why it was called “Club Fed” of course. But it was just down the street from the offices of you know who. Some weeks it seems like all I do is train remotely. Other times I’m producing recorded content for people to view on line at a later time. Mostly I tend to employ GoToMeeting is its many forms. I tend to appreciate the simple of GTM. I also must admit to being a Techsmith Camtasia fan when it comes to the basic record and edit part of the job. Just like any content authoring, a lot of the art is in the edit. 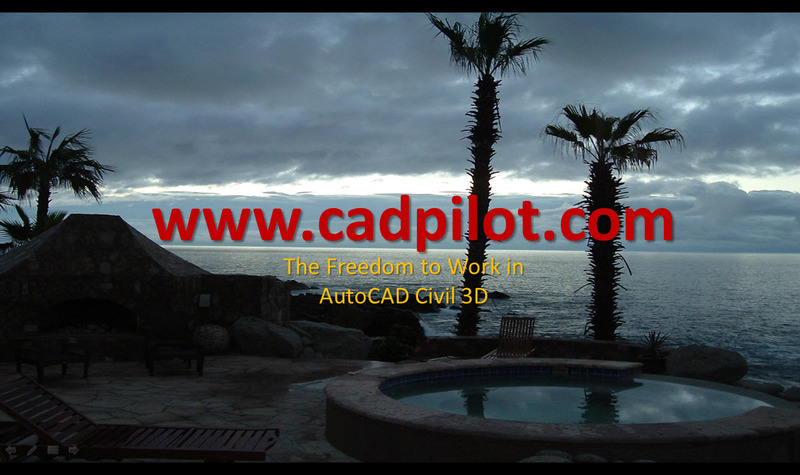 From my perspective, every session is an opportunity to find better ways to communicate concepts, methods, and practice that help make AutoCAD Civil 3D and some other software make sense and more productive for more people. In spite of many posts (50) about Description Key Sets in various forms and flavors this important part of AutoCAD Civil 3D still continues to generate questions. I suppose this is because Description Key Sets look a bit like old Land Desktop Description Keys. By now you know they really aren’t exactly that. Here’s a video that covers the vast array of Description Key Set resources that we supply out of the box in our InstantOn Basic and InstantOn Survey Release 5 Production Solution products. Even if you never use our Production Solution products for AutoCAD Civil 3D the video will teach you an important thing or two. Once you build it you do have to maintain it. Why is that a recurring theme here? It’s true…sometimes it is painfully true. Here’s a video the covers how you might employ Microsoft Excel to help you create, edit, and maintain Description Key Sets in any release of AutoCAD Civil 3D. Frankly, Autodesk needs to provide more management function along with the design function. But who am I? Now you know there is Supernatural magic in Description Key Sets just like there is magic in dragons. I’m told that dragons cook and eat you, or you tame them.